When a claim is submitted electronically through NowMD the electronic EOB can be posted automatically to the claim and service lines. This feature is standard in NowMD. NowMD can now automatically post adjustments for user-selected CARC codes (Claim Adjustment Reason Codes) included in an EOB. This new feature simplifies payment posting by reducing the number of claims that need manual review because of these adjustments! CARC code adjustment settings are found in the Settings center under the Claim Adjustment Reason Codes heading. 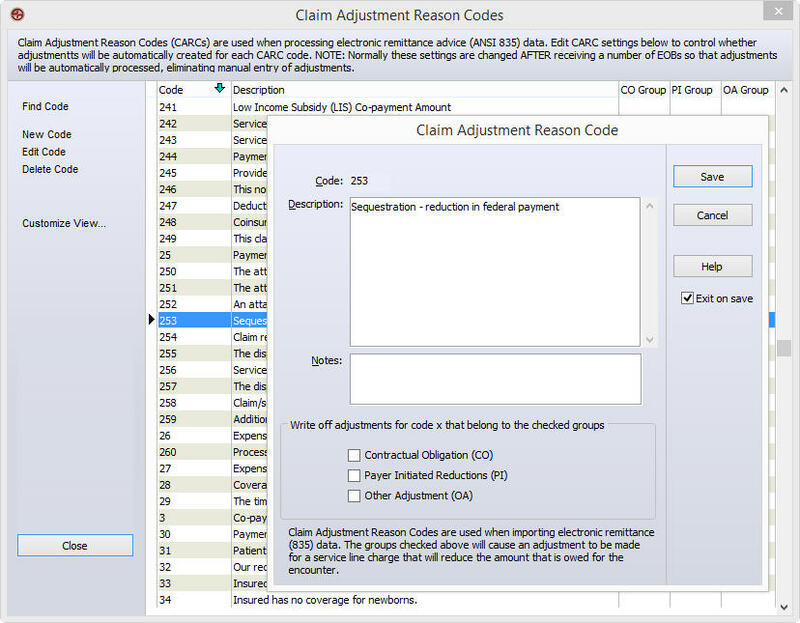 Activate automatic adjustments by selecting the reason code and checking the adjustment category of Contractual Obligation (CO), Payer Initiated Reductions (PI) or Other Adjustment (OA). All adjustments matching the CARC code and type of adjustment will be automatically adjusted on future electronic EOBs.